Lightweight, eco-friendly kit nests inside a deluxe padded backpack, which is easy to carry, whether you’re traveling by plane, train, automobile, or bicycle. 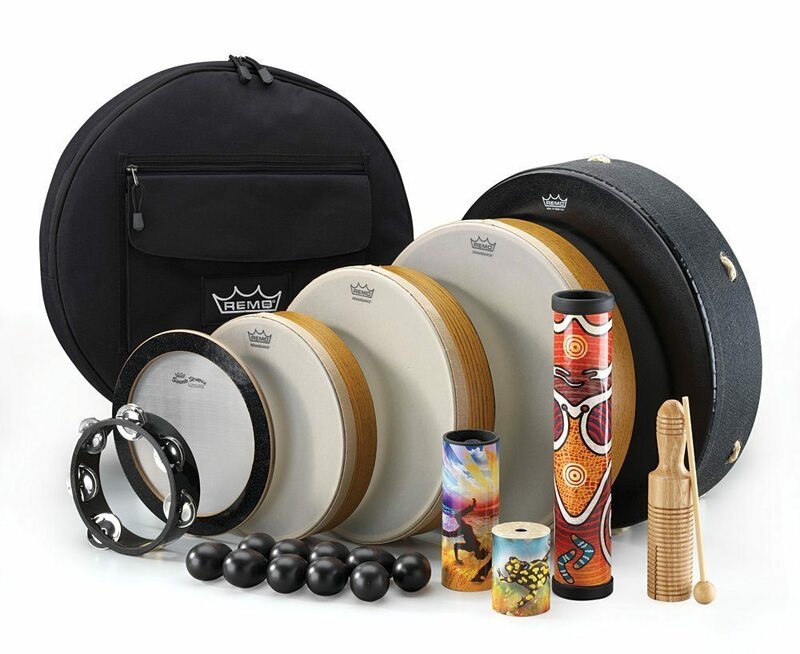 You’ll get a big sound from this compact, durable kit with instruments for 10 to 20 people. (1) SR-0203-28- Fx Shaker, 3″X2 1/4″, Corroboree Finish. 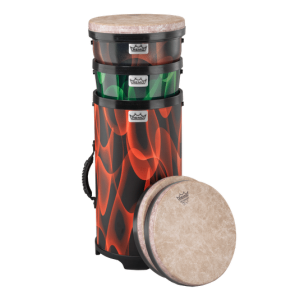 (1) SR-1206-20- Ginga Shaker, 6″X2 1/4″, Ginga Finish. (1) SR-2412-27- Didgeharp, 12″X2 1/4″, Walkabout Finish. 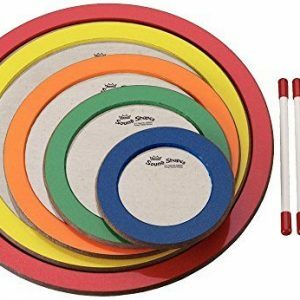 (1) SS-0009-00- Sound Shape, Circle, 9.25″ Dia. (10) 29-2426-70- Plastic Egg Shaker, Solid Black. (1) 29-2425-06- Tone Block, Dark Wood, Includes Beater. 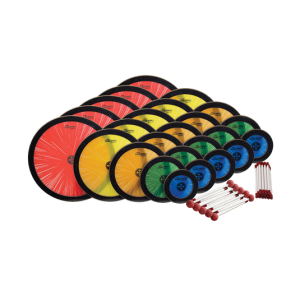 (1) TA-6106-70- Tambourine, Headless, 6″ Dia., 6 Pairs Jingles X 1 Row, Quadura Black. (1) E1-1316-BE-P- Buffalo, Bahia Buffalo Drum, 16″ X 3.5″ Fixed Bahia Bass, Black Earth. (1) HD-8410-00-Frame Drum, Renaissance, 10″ Dia., 2″ Depth. (1) HD-8412-00-Frame Drum, Renaissance, 12″ Dia., 2.5″ Depth. (1) HD-8414-00-Frame Drum, Renaissance, 14″ Dia., 2.5″ Depth. (1) ET-0016-BG-Deluxe Bag, Black.